This summer is predicted to be wetter than average for most of the country, according to the National Oceanic and Atmospheric Administration (NOAA). That means more than raincoats and umbrellas. It means messy, slippery floors in home entryways. But that's nothing a little radiant heat can't solve. 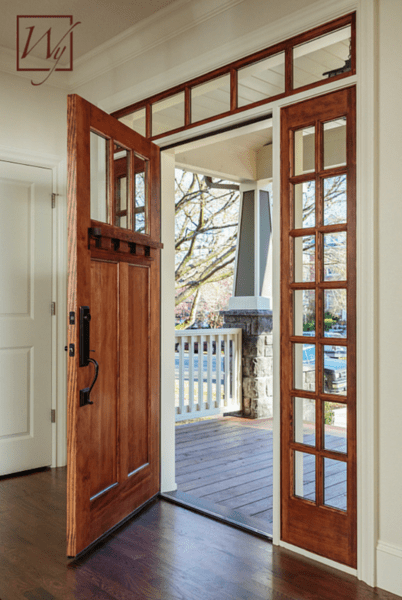 Installing in-floor electric heating in an entryway helps to dry wet floors on rainy summer days, but it's also the first line of defense against cold temperatures during the winter. In either scenario, heated floors are a luxury that many homeowners want to have in their homes, and often in more than one room. When a homeowner is replacing the flooring in their foyer, this is the perfect time to think about in-floor heating. Of course, this will add to the cost of the renovation, but you might be surprised to learn how little it will add. To install a 3- by 5-foot electric heating mat in an entryway, it costs approximately $200. To be specific, WarmlyYours offers a 120-volt 3- by 5-foot TempZone™ Easy Mat for $202.50. That equals out to just $13.50 per square foot. Adding a programmable thermostat to the order adds $169, bringing the total to $371.50. In this small entryway (see floor plan), the mat fills the majority of the floor space with 15 watts of radiant heat per square foot. 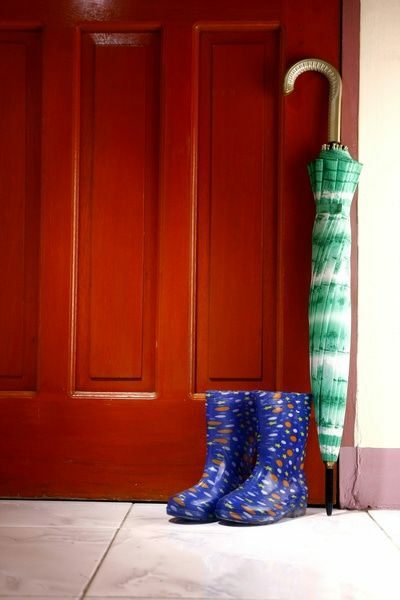 This ensures that when guests walk in from the rainy weather, floors will be warm, welcoming and ready to dry off those shoes for the ride home. Plus, the floor-warming system is extremely economical. On average, it only costs 8 cents a day to heat this 15-square-foot space for eight hours a day, according to WarmlyYours' Energy Use Calculator. You could find that change hiding in your couch! Finally, submit the project dimensions by either entering the square footage or width and length of the area, or by drawing the room, uploading your floor plan or scheduling in-home measurement. 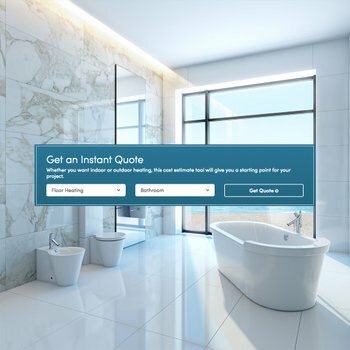 Receive your quote! 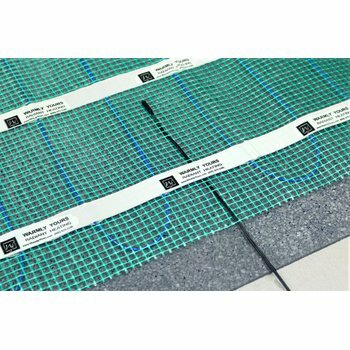 We'll provide you with the electric floor-heating options that best suit your project in a side-by-side format that shows the price of each and the differences between them. Once you've selected the best system for your home, we'll even walk you through your thermostat options and offer you recommended accessories that will make your installation seamless. We also encourage you to get a custom installation plan from one of our account managers. This plan shows you exactly how your floor-heating system should be laid out for optimal functionality. If you're installing the system yourself, don't forget that our technical support team is available 24/7 to answer any questions that might arise. Feel free to give them a call any time at 800-875-5285. 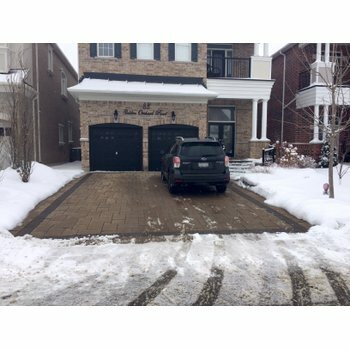 For more information about adding in-floor heating to an entryway or any other room in your home, visit www.warmlyyours.com.